IceGear have been putting out great iOS music apps from 2009. Their first app, Argon, arrived in December of that year and was a big hit and a special favourite of mine. 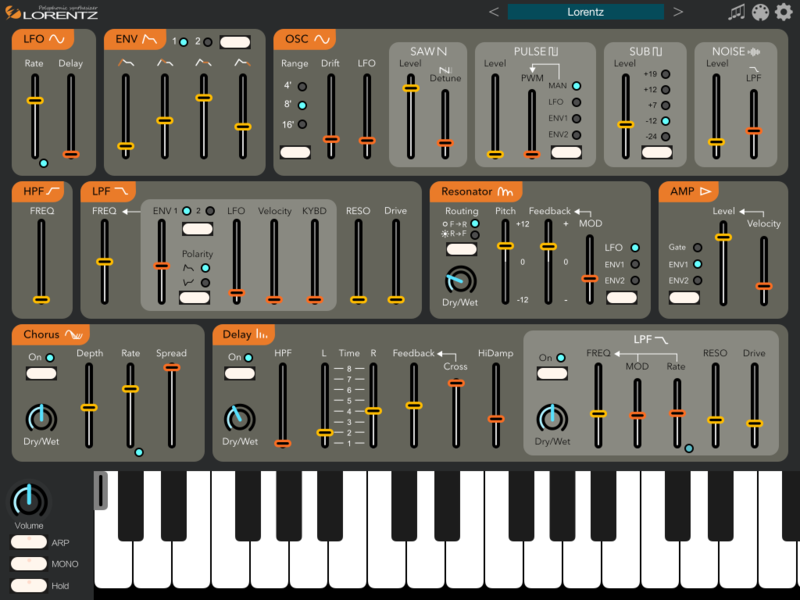 They’ve consistently followed the success of Argon with a string of synthesis apps that have always been popular, and Lorentz is no different. Version 2.0 of Lorentz not only makes it universal, but also brings it AUv3 (iOS Audio Unit functionality) compatibility. It’s a good update, and, for me, the most interesting thing is that it’s an iPad app that is going universal and adding iPhone capability. This is increasingly a pattern that I’m seeing, and it’s one that I’m thoroughly in favour of too. Universal is good for everyone as far as I can see, and having access to good synths like Lorentz on an iPhone is extremely useful. If you don’t know Lorentz then you might want to check out this video from Jakob Haq. It’s of his early impressions on the first version of the app, but still worth checking out.